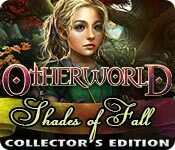 Otherworld: Shades of Fall Collector's Edition is rated 4.1 out of 5 by 62. Rated 5 out of 5 by stephanie_press from Already can't wait for the sequel! All of the installments in this series are beautifully rendered with gorgeous music and intriguing characters with their own mini-plot lines. I really enjoy also how the puzzles are interesting yet not purely nonsensical like a lot of HOA games. The developer really thought through the world and the experience. Can't wait to see how this storyline ends? This is one of the few HOA games whose storyline I actually think would make a great all-ages film. It's worth playing the CE on these games because it adds more to the story. Rated 5 out of 5 by toietmoi59 from CANT BELIEVE THIS IS THE LAST GAME!!! I love this series. It's a classic series that i never get sick of playing. Challenging and intriguing without becoming repetitive. Rated 5 out of 5 by pgobeli from Very well done game Interesting story. Nice music. Beautiful graphics. Another hit in the "Otherworld" collection. Rated 5 out of 5 by andibeard from Best of the Series I was only mildly to moderately impressed with the first two games in the Otherworld series, but this one is definitely the best of the three so far. Like the first two, the visuals are stunningly beautiful. Unlike the first one, the pacing of the story here is good, the gameplay is challenging but not frustrating, the mini-games are varied and good, and I even liked this chapter of the continuing saga (usually stories get old by the third installment, so good job on the developers' part!). The HO scenes are a little challenging at times and were the only part I didn't enjoy terribly--there are some instances where you have to move some things around to see behind them but it's a bit confusing to know whether you actually need to interact with everything or not in order to find the objects. However, there weren't overly many HO scenes, and none are repeated (! ), so this was a minor concern. The hints are helpful, as well, and there are notes and a map for easy navigation, though the gameplay never really gets spread over too large an area at any given point in the game, which is also nice. In the CE, there are little dragon collectibles, which are very easy to see, as well as a fairly short bonus chapter which wasn't as fun or deeply-developed as the previous chapters, so I think the SE probably would have suited me just as well in this case. And like the previous installments, this one also lets you keep a very useful object throughout! I really like that aspect of these games. It's something more developers need to start considering instead of the use-and-toss method! Overall, a fun fantasy game (though this one involves a little more crossover into the modern world than the others). Hopefully, the next (last??) game in this series will continue the upward trend! Rated 5 out of 5 by jocasta1 from Another great installment in the Otherworld series! This installment of the Otherworld series is a continuation of the ongoing story. I would say that if you loved the first two, you will not be at all disappointed in this one! 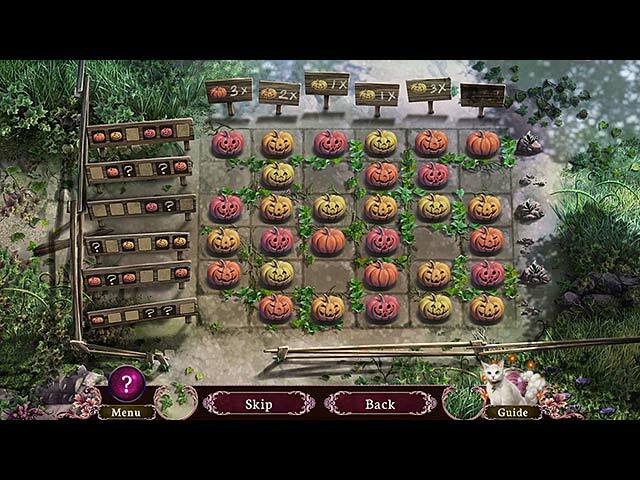 Rated 5 out of 5 by gmlo from favorite game ever great puzzles and in the hidden objects puzzles you have to figure out little puzzles for the majority of the objects. The switching of scenes is super fast. It is very pretty. Rated 5 out of 5 by angela2266 from Fun game Based on the demo: very nice game. good quality sound and visuals. This is my favorite of the Otherworld series. Rated 5 out of 5 by rosekaufmann from MAGICAL WORLD OF FEYS AND CREATURES A continuing story of Fiona and the Storm Cat saving the world from the evil Shade, who wants a winter wonderland 24/365. 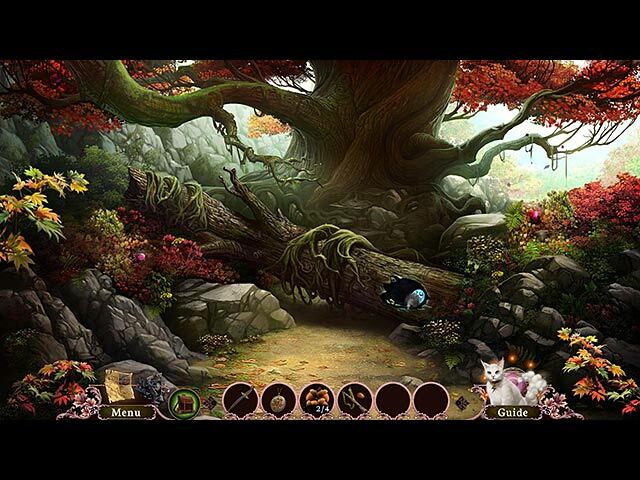 Game offers a lot: challenging puzzles, incredible color, beautiful animation, danger and evil vs. beauty and stunning graphics in a magical setting. The graphics and colors are so gorgeous that you just want to touch everything (and you can without penalty) to see what they are or what they do. HOS are quite different – no crowded junk piles, no finding a list of objects which you don’t need. 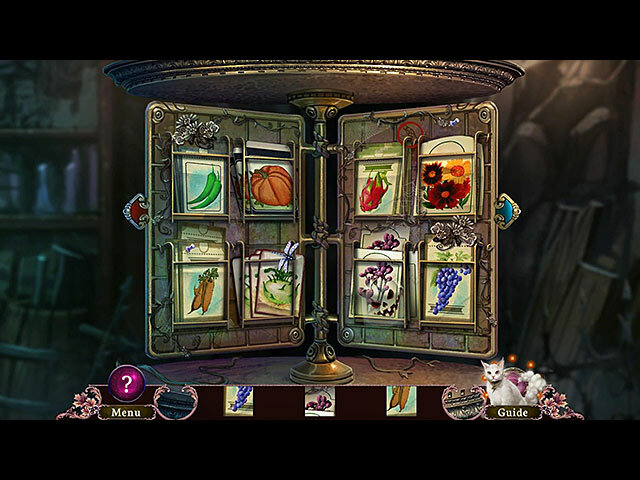 They are finding similar worked into an item already in the world (such as finding a number of crowns, fey characters and snowflakes on Shade’s eternal prison i.e., tomb). Flawless gameplay. The story is interesting – you don’t know where it will take you next. Extremely helpful Magic Storm Cat, who will show you where you should go or what you should do if you are stuck. The Otherworld games are near perfect and this one is no exception. Rated 5 out of 5 by valsi from lots of fun love this series. this could possibly have been too easy but I still loved it.